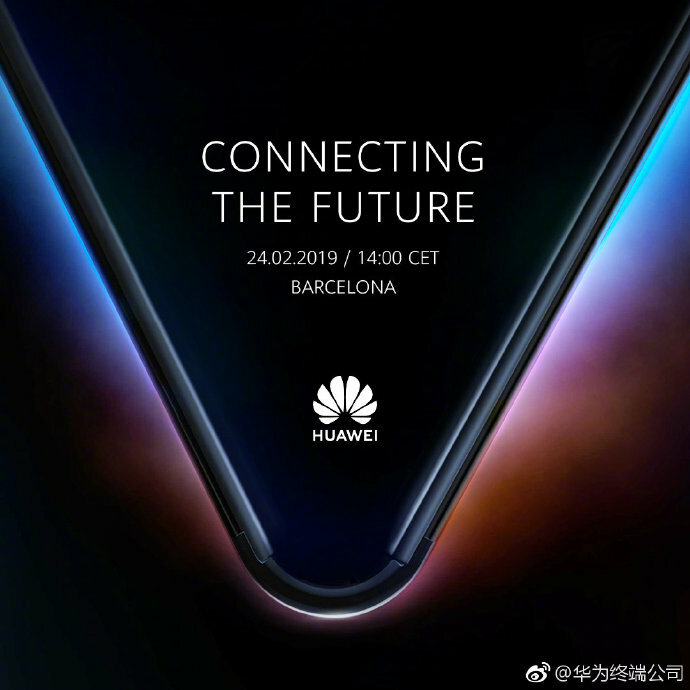 Huawei Confirms February 24 MWC 2019 Event; Confirms 5G Foldable Phone Launch - Playfuldroid! Huawei has confirmed that it will be holding its press event at the MWC 2019 tech expo on Feb. 24. Huawei’s event will begin at 2 PM. The company has confirmed that it will be launching a foldable phone with 5G support at the event. The launch poster showcases a foldable phone. The image suggests that the device does not feature a hinge at the middle but features a special material for folding it. Recently, the Chinese manufacturer had showcased the Balong 5G modem at the recently held 5G Conference and MWC 2019 pre-communication meeting in China. At that time, Huawei Consumer Business Group CEO Richard Yu confirmed that the 5G Balong 5000 modem along with the Kirin 980 SoC will be powering the company’s first foldable smartphone. The final name of Huawei’s foldable phone is still under the wraps. The Chinese manufacturer had registered for names like Mate F, Mate Flex, Mate Flexi and Mate Fold in the recent past. Probably, the upcoming 5G foldable phone may arrive with one of these names.